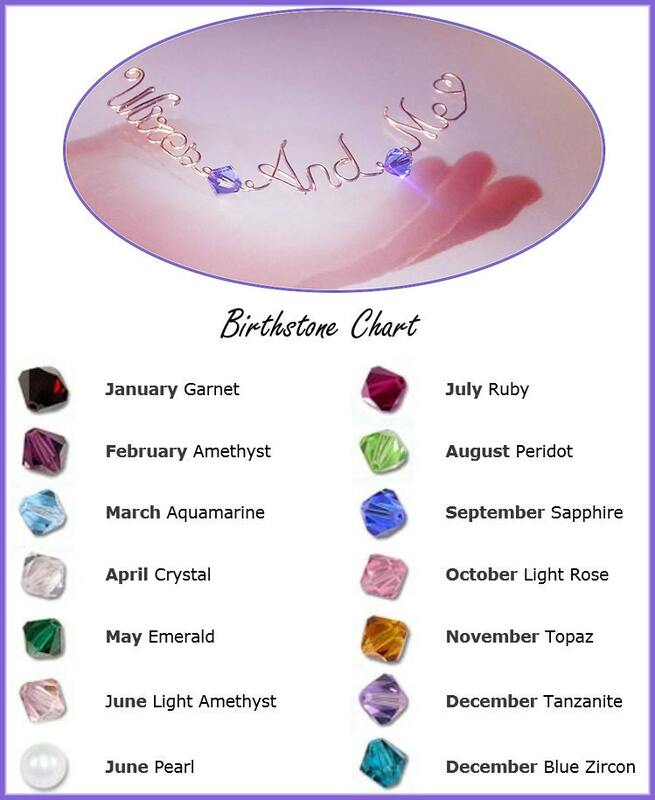 Personalized Handmade Wire Name Bracelet with Swarovski Crystal Birthstone you choose. 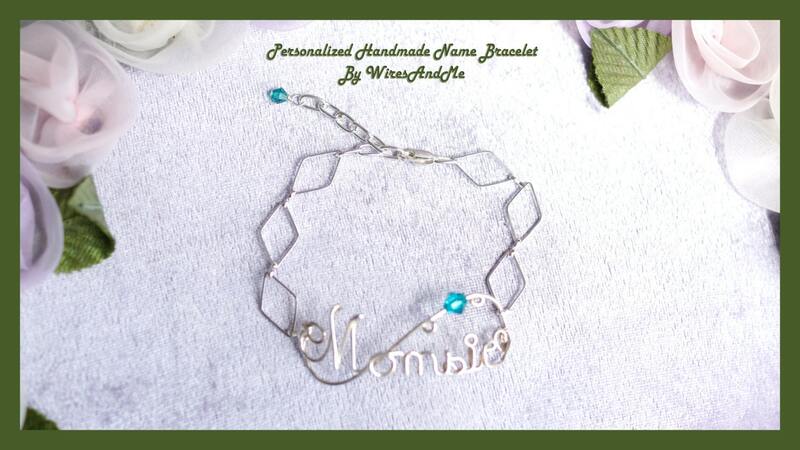 Personalized to any Name you Wish...a Perfect and unusual handmade gift for your mom or for all occasions of any age... All orders comes with FREE Jewelry Gift Box for easy/instant gift giving! Chain links are all silver plated based on design but you can choose the metal finish for the wire name itself: silver-filled, .925 sterling silver, or silver plated. 4. 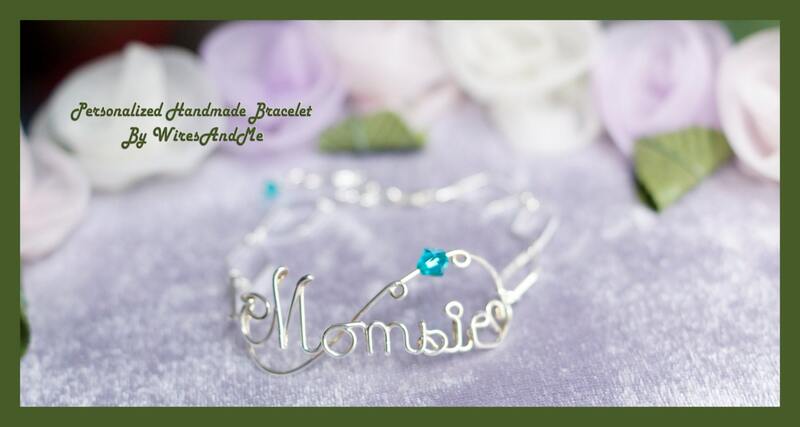 The bracelet size is 7.5" minimum with extender, let me know if you want smaller size.